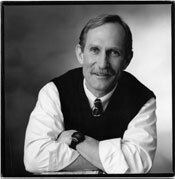 Even scientists have become victims of the United States’ heavy-handed war on terror, Prof Peter Agre, chair of the committee on human rights at the US-based National Academy of Sciences (NAS), asserted yesterday. During an address at Thammasat University yesterday, Agre, who won the 2003 Nobel Prize for Chemistry and in Bangkok as part of the lecture series “Bridges: Dialogues Towards a Culture of Peace” organised by the Internal Peace Foundation, explained that it undermined the integrity of the US that civil liberties were being compromised at home and American values of freedom questioned abroad. “I don’t think that Donald Rumsfeld will get it, [but] in the end the message must become obvious to [voters]. I hope it’s all just a temporary aberration,” he told The Nation. Agre, who teaches at the John Hopkins University School of Medicine in Baltimore, said the global scientific community could and should do more to promote and defend human rights through groupings like NAS’s committee on human rights. As a measure of its success he cited support for scientists in Laos, Guatemala, and Cuba. Even in the US, however, some scientists have found themselves embroiled in the government’s zero-tolerance war on terror, Agre said. A recent high-profile case, he explained, was that of Thomas C Butler, 62, a decorated Vietnam War veteran and a leading authority on infectious diseases at Texas Tech University’s Health Sciences Centre. Last December, Butler was convicted of 47 out of 69 charges brought against him by investigators. Although he was acquitted of lying to FBI investigators and of smuggling plague bacteria samples into the United States from Tanzania, where he had previously been conducting research, he was convicted of fraud and improperly handling plague samples in the US. The FBI arrested Butler after he reported to university security officials that 30 vials of plague bacteria were missing from his laboratory. The researcher later told investigators that he had in fact destroyed the samples himself before retracting his confession, insisting he had signed it under duress. Scientists have rallied behind Butler, who maintains his innocence and has been in jail for almost a year, serving a two-year sentence pending the outcome of an appeal. His supporters say the government dealt in an extremely heavy-handed manner with the scientist with the charges levelled at him far disproportionate to his alleged crimes. If convicted of all charges, Butler would have faced a sentence of life imprisonment. “The US government is spending billions of dollars on homeland security and is acutely in need of a better understanding of communicable diseases in preventing bio-terrorism,” Agre said. Agre estimated that some 650 scientists worldwide have suffered similar abuses at the hands of the authorities over the past decade. “In most cases these individuals are viewed as dissidents. If you’re downtrodden, being a ‘dissident’ is your only hope [for freedom],” he said.